Piazza Maggiore is the ancient heart of Bologna. Its medieval buildings, witnesses of its vibrant public life and intense economic activity, combined with the latest functional places, while retaining their charm. A network of unique porticoed streets that make the city unique, branches off from here. The porticos of Bologna, candidates for UNESCO world heritage, stretch out from the city center over 40 kilometers. 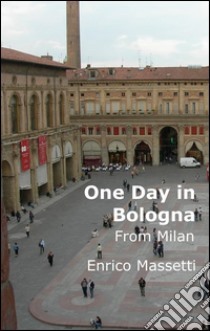 This is a guide to Bologna, one hour away from Milan with the high-speed train. There are extensive descriptions and color photos of the attractions. It has also a listing of many reviews for the best-recommended restaurants that are at walking distance from the train station.